We are excited and eager at Flooring America to get to know you and help you with all of your floor covering needs. We offer in-home service and are very experienced in the commercial area. We look forward to meeting you at our Knoxville, TN, location. Thank you for your continued business throughout the years. 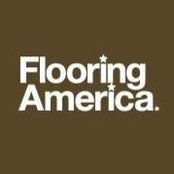 Flooring America is more than just a flooring specialty store. We are experts trained in flooring sales and design and will help you find the perfect floor for the way you live.